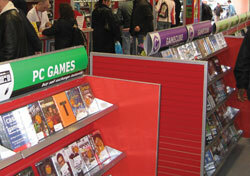 CeX specialises in selling goods from seven main product lines it calls 'super categories', which are: Video Games, DVDs, Computing, Electronics, Mobile Phones, Vision and Music CDs. In addition customers are able to exchange their unwanted or used goods for cash or another product. Hugh explains: 'Upgrading to keep ahead is paramount for technology buffs and this is not only true in the fast moving world of computers. DVD has entered the living room faster than any previous device and the videogame business is huge, its estimated value is higher than any other sector in the entertainment industry. 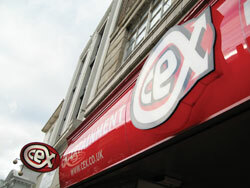 In fact several CeX franchisees were previous loyal customers, such as Eddie Pike. 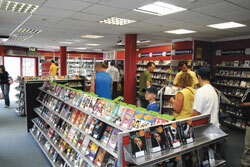 He reveals: 'My first introduction to CeX was as a customer. I regularly visited a branch and saw how busy it always was, even on the quieter days of the week. As a customer myself I loved the concept of the business - I could see how successful it was so I enquired about the franchise. 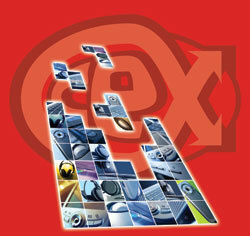 I spoke to the existing CeX franchisees, which turned out to be a very positive experience. Everyone is incredibly enthusiastic about the business and they have some great things to say. CeX were very open with me when it came to discussing the possibility of becoming a franchisee, they explained everything, showed me their results and made sure I could make a good, well-informed decision.